There are times when you (me) curse musicians like Evan Parker for being so damn hermetic in their playing, or like Von Schlippenbach for being far too abstract or too concrete yet hard to pigeonhole, or someone like Paul Lovens for seeming to be unconcerned about rhythm despite being a drummer, or all of them being so totally out there in their own solipsistic adventurous journey that they completely forgot they still need someone (you, me) to listen to their music and enjoy it. 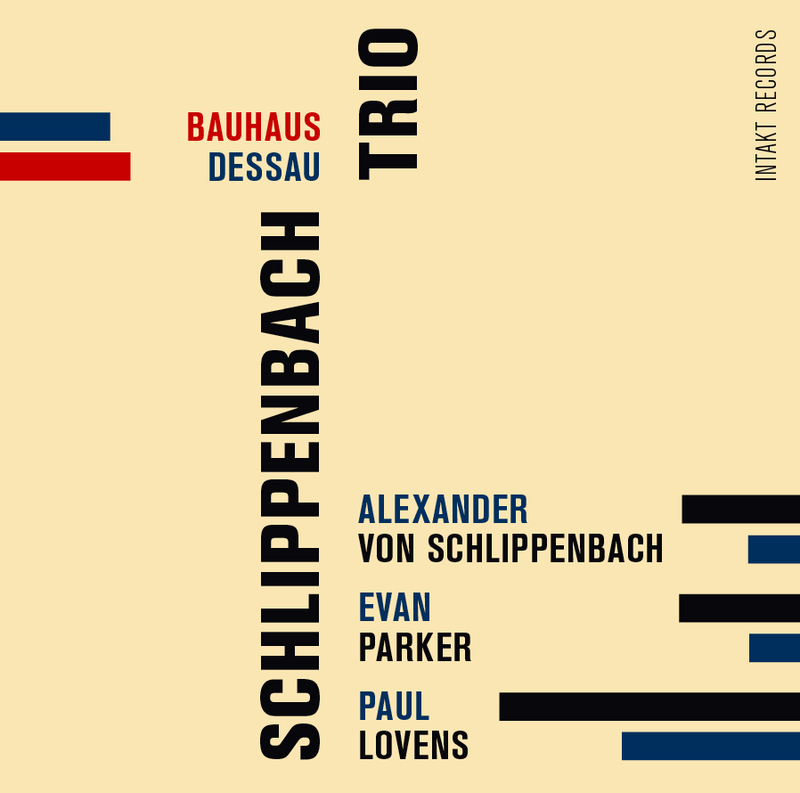 Then there are times when these three icons of European avant-garde music play together and the result is magic. This is such a moment. Yes, it is abstract, it is hermetic at times, it is an adventurous journey, but one that is strangely accessible, with an openness and a kind of creamy texture (am I influenced by the cover art here? but no the music is creamy too) that is pleasing throughout. The biggest strength of the album is its forward-moving dynamics, as opposed to the in-the-moment creation of sounds of so much free improv, that take you along, like a boat on a musical river, you're part of it, rather than watching it from the shore how things arrive and disappear, no, here you're floating along, which gives you the great pleasure of being able to follow the flux, evolve with its developments, whether through thundering rapids or ballad-like slower movements. The biggest strength of the album is its warmth, its gentle and welcoming sound, despite its abstract nature, with Evans' tenor being quite expressive in his short staccato bursts full of multiphonic inflections and subtle nuance, or maddening hypnotic in his long circular breathing bouts, all accentuated by Lovens' storytelling on percussion, unusual, elegant and or disorienting, and Von Schlippenbach is the power that holds it all together, gives context, backbone and direction, although all three are quite volatile concepts in an environment like this one. And now that we're at it : the biggest strength of this live album, is the enthusiastic audience that gives the three musicians the level of applause they rightly deserve. This is music made for listeners. Watch a performance of the trio in Ulrichsberg, Austria. The video is from Ulrichsberg, Austria. My apologies to Austria. I will change immediately. Thanks for the review and that great clip. Elf Bagatellen and Pakistani Pomade are two of my favorite cds, but there are no really long tracks. The first track here is apparently 40+ minutes! This is a must. Over the summer, Globe Unity Orchestra played our Jazz Festival. Evan Parker wasn't listed in the lineup, but when the group walked out, there he was! What a show. Interesting video. For those who do not know much about Evan Parker. He is a highly respected free jazz saxophonist who helped developed free jazz in Europe. He is also a little bit known in popular circuits. Then again, there are many of us who enjoy the majority of these three giants' music. 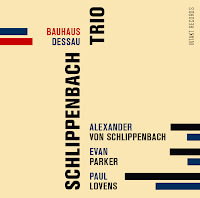 I can't say that I've ever thought that Evan Parker, Alex von Schlippenbach or Paul Lovens ever "forgot they still need someone to listen to their music and enjoy it." These three have been making wonderful and enjoyable music for decades. Just because we can't hum a few bars doesn't make it less enjoyable. I'm glad that this one was "accessible" enough for you. And THANKS for the video clip!